Most English language literature on this subject is disappointing for a variety of reasons, most often relying solely on Finnish sources and presenting events through a cold war inspired lens. This book seemed to promise something different, with its reliance on primary sources from both sides and its narrow focus on tactical ground operations. There has been a long standing need for the contents of the Russian archives to give a more complete account of the fighting, how it changed over the course of the conflict and what lessons both sides could learn from the fighting. And it does fill that need, albeit in a way that makes you feel that it could be so much more that what it ends up being. The book is very upfront about both what it is attempting to cover and what it is not covering at all. There is no coverage of diplomatic affairs, the naval and air campaigns, and little about the politics of the conflict, the history of the area, the purges in the Soviet Army or strategic considerations. There is a brief nine page overview of the proximate cause of the conflict, both sides plans and preparations, and an overview of each sides forces. 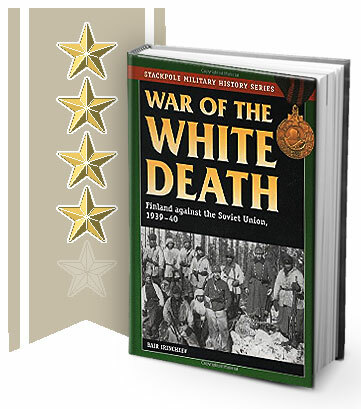 The meat of the book is in how it describes the fighting at a tactical level everywhere it occurred through the entirety of the Winter War. In this it excels, with the narrative allowing the reader to visualize the conduct of operations and why they were happening the way they did. War Diaries and first person accounts from both sides are used, and when there are disagreements among the sources, the author highlights them along with what the most likely explanation of events is. So, this is probably as close to objective, ground truth as we are going to get on this fighting. Additionally, the bibliography lists a wealth of resources, which unfortunately are almost all in Finnish, Russian and Swedish, which just shows how poorly served this subject has been in English. However, the book does have some weaknesses, even if you accept its narrow focus and judge it only on those terms. First, and most glaringly, the book needs many more maps to make sense of the narrative. The maps that are provided are well enough done, but they aren’t enough to tell you where, exactly, these units are located and how their actions relate to other actions being described. Some of the sections of the front and combat descriptions have no associated maps at all. I found myself searching for a variety of maps on the internet to help me make sense of the descriptions in the book, reading with one hand while referring to maps on my iPad with the other. Mostly, I succeeded, but it made reading the book much more work than it should have been. Second, the book only conducts limited analysis of the combat as to why things developed as they did. There is some, particularly with regards to lessons learned during the conflict about Soviet artillery preparation, logistic support and tank-infantry cooperation, but it is limited in scope and really limited to changes the Soviets made during the conflict. A concluding chapter of analysis would have improved the book and allowed the reader to make greater sense of the mass of tactical details that were presented. Overall, this seems an important but limited, book which is best read in conjunction with another more general history of the conflict. A Frozen Hell by William Trotter is probably the best of the current bunch, although I do need to give the new Osprey Publishing Finland at War: The Winter War 1939-40 a try in the near future. I give it four stars for essential material unavailable elsewhere combined with inadequate maps and analysis.